Commodore C16 Cass. published 35 years ago by Tynesoft Computer Soft. 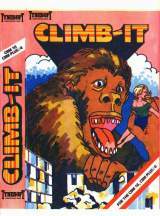 Climb-It © 1984 Tynesoft Computer Soft.